Snapback trucker cap, with waves or woods print, by Hey baby. 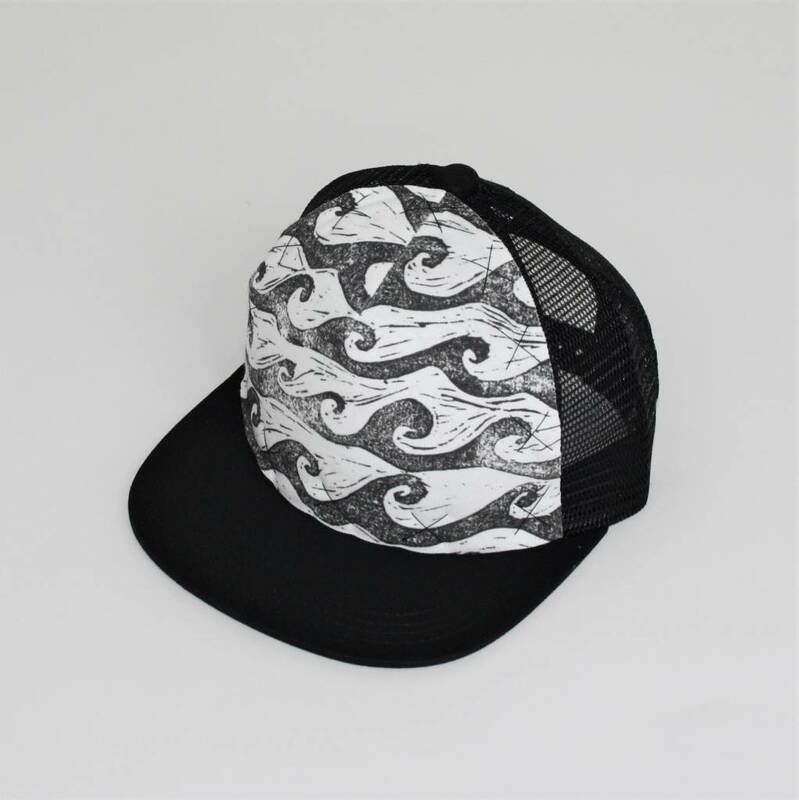 This super cool snap-back trucker hat is accented with a hand stitched, organic cotton panel with wave or woods print. These stylish hats are great for all seasons. The brim can easily be bent, if you prefer it curved. Each fabric panel is stitched on using upholstery strength thread for durability. Because these hats are hand made, each pattern placement will vary. Spot clean only. Made by hand in Victoria, BC by Hey Baby. Toddler size fits approximately ages 9 months - 2/3 years. Kids size fits approximately ages 2/3 years - 6/7 years.